Anand Mahindra, chairman of the automobile company Mahindra Group, tweeted about the injured shoe doctor in April. He also wrote that This man should be teaching marketing at the Indian Institute of Management…”. “The hospital of injured shoes” who were injured by the Mahindra were so impressed with the idea that they sent their team to this person. Anand Mahindra gave a new update on Wednesday in this case. He tweeted that he was very impressed with this idea of ​​Narsi Ram. 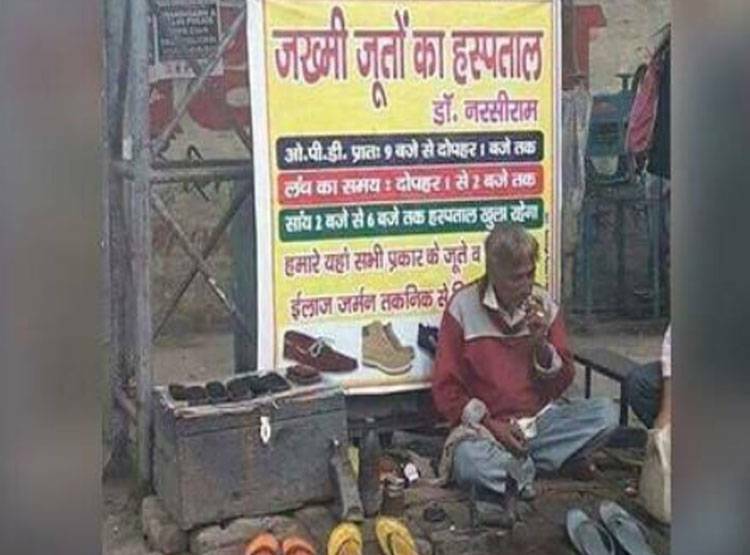 He sent his team to meet Narsi Rama and has invested in the idea called ‘Hospital of injured Shoes’. Anand has designed this studio with his company Mahindra. Engineers have tried to improve this studio in every way. For example, after repairing shoes, these studios will survive after rain, they will be protected from hard sunlight.